Some retirees who need aged care may prefer to stay at home. Whilst others may need or prefer the assistance that a residential aged care facility can provide. Here you will find the fees and charges that apply to those who first receive home care or residential aged care on or after 1 July 2014. A summary for individuals who move aged care facilities and choose to be assessed under the new rules can also be found. The person requiring care must be assessed and approved by the Government’s Aged Care Assessment Team (ACAT) in order to access home care. ACAT helps older people and those who care for them. It helps decide what kind of care will best meet their needs when they can no longer manage on their own. Doctors, nurses and social workers make up the ACAT. ACAT thoroughly assesses a person’s situation and care needs. They provide information on suitable care options and can help arrange access or referrals to residential or home care in the local area. You can arrange an appointment with the ACAT closest to you by accessing the Government’s aged care portal ‘My Aged Care’. This can be found at www.myagedcare.gov.au or calling 1800 200 422. Alternatively your doctor can make an appointment with the ACAT in your area. Many people who need care are not aware that a variety of services are available for those. Especially to those who prefer to stay at home. Home Care Packages provide Government subsidised services to assist people to remain in their home for as long as possible. Support services – such as help with washing and ironing, house cleaning, gardening and basic home maintenance. As well as home modifications related to care needs such as handrails in the shower, and transport to assist with shopping, visiting the doctor or attending social activities. Clinical care – such as nursing, and other health support including physiotherapy (exercise, mobility, strength and balance) and podiatry (foot care). Other services may also be provided such as aids and equipment to assist with mobility, communication or personal safety. The Aged Care Assessment Team (ACAT) will assess each applicant. Each applicant must be assessed as having care needs at least equivalent to a level 1 – basic care needs package. An ACAT approval for a particular level of home care also enables access to any level of home care package lower than the approved level. At the commencement of the package, the client (you) and the home care provider will enter into a Home Care Agreement. This sets out the basis on which services will be provided. The home care provider can then claim a subsidy from the Government. This is dependent on the level of home care package provided. Consumer Directed Care, or self-directed care, allows older people and their carers to make choices about the types of care services they receive and the delivery of those services. This includes who delivers the services and when. Clients receive an individualised budget and a monthly statement of income and expenditure. This provides transparency regarding the level of funding and how the funds are spent. The My Aged Care website at www.myagedcare.gov.au provides home care information. Alternatively the national contact centre can be reached on 1800 200 422. From 27 February 2017, Home Care packages are allocated to clients through ‘My Aged Care’ at www.myagedcare.gov.au or call 1800 200 422. Once a package is allocated, the individual will be able to choose who provides their home care services. It will also be easier to change providers if you move or are unhappy with the service. Clients who start receiving a home care package on or after 1 July 2014 will pay a basic daily care fee. They will also receive an ‘income tested fee’ administered by the Department of Human Services. An income tested fee is payable where the client’s assessable income exceeds the income free area. The amount of income tested fee payable cannot exceed the actual cost of care. The Centrelink / DVA rules are used in calculating the assessable income. This includes the amount of Age or Services Pension payable (less minimum pension and energy supplements). The income tested fee is calculated as 50% of assessable income over the income free area of $26,072.80 (singles) or $20,235.80 (member of a couple, living together) or $25,604.80 (member of a couple, living separately). The lifetime cap applies to means tested fees across home care and residential aged care. For example, if Paul paid $40,000 in income tested fees for home care and then moved to a residential aged care facility, he would only have to pay a further $23,313.28 in means tested care fees to reach the $63,313.28 lifetime cap (note the lifetime cap is subject to indexation). The basic daily care fee of 17.5% of the maximum single age pension ($10.10 per day) is payable in addition to the income tested fee. If you or a family member can no longer manage to live independently at home, you may need to consider moving into residential aged care. Before you do, there are many factors to consider. This includes your eligibility, the costs involved and the effect on your finances and lifestyle. For residents with higher care needs additional services will be provided. This is the provision of special medical equipment, such as wheelchairs, basic medical and pharmaceutical supplies, nursing and therapy services. Major reforms to the aged care system, including the way fees and charges are calculated, apply to residents first entering residential aged care on or after 1 July 2014 or move aged care facilities and choose to be assessed under the new rules. An accommodation payment is an entry fee payable for residential aged care. It is like an interest free loan to the aged care facility. The amount you pay as an accommodation payment will depend on the facility you choose to enter. It is also determined using a number of factors including quality of the facility, location and demand. Aged care facilities must advertise the maximum amount of accommodation payment payable on the government’s My Aged Care website www.myagedcare.gov.au. This website provides details of all aged care facilities in your area as well as the facilities key features. An accommodation payment can be paid as a lump sum (known as a Refundable Accommodation Deposit), regular periodic payments (known as Daily Accommodation Payments) or a combination of both. In most cases, the entire lump sum bond balance will be refunded upon departure from the aged care facility. Protections are in place for residents who are assessed to have ‘low means’ and cannot be asked to pay the advertised accommodation payment. At the time of entry to the aged care facility, the government measures your ‘means tested amount’. If it is less than a specified threshold, you will not have to pay the advertised accommodation payment. A resident may however be asked to make a contribution towards the accommodation cost of your care known as an accommodation contribution. Your means tested amount is determined by the value of your income and assets – added together. The asset tested amount includes assets as assessed by Centrelink. This includes any property or item of value that you or your partner have an interest in within Australia and overseas. It can also include assets that you have gifted (above the allowable threshold) within the last five years. Former home: The assessable asset value of the former home is included and capped at $162,087.20. The former home is only exempted where a protected person resides in the home. This would be an individual such as a partner, carer who has resided in the home for 2 years (receiving income support) or a close relative who has resided in the home for 5 years (receiving income support). The means tested fee is another ongoing daily fee, charged in addition to the basic daily care fee. The amount you will pay is calculated based on your means tested amount. The means tested fee is capped at $26,380.51 per annum or $63,313.28 over your lifetime. Note: If you enter aged care on or after 1 January 2016, rent from your former home is included in the means tested fee calculation. For those that entered aged care before 1 January 2016, any income derived from renting is exempted from the means tested fee calculation where you pay at least a portion of your accommodation payment as Daily Accommodation Payments (DAP). Extra services mean that the facility will provide you with a higher standard of accommodation and services. This will be paid for in the form of a daily extra service fee. Extra services may include a choice of meals, wine or massages. Accommodation and services vary from one facility to another. So you will need to check with the provider for details of services and extra service fees. 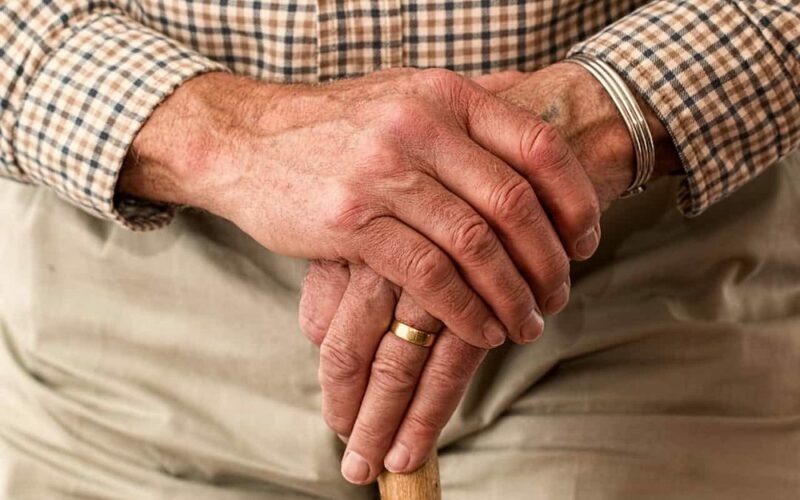 Married pensioners may each receive a higher rate of pension, under the government’s ‘separated due to ill health’ provision, if one or both members of the couple are in aged care. If you entered care prior to 1 January 2017, are renting your former home and paying a Daily Accommodation Payment or Daily Accommodation Contribution, the value of your former home is exempt from the Age Pension assets test and rental income is exempt from the income test. If you enter care from 1 January 2017, however, your former home becomes an assessable asset after 2 years (unless occupied by your spouse) and rental income is assessable for Age Pension income test purposes. Special tax offsets may be claimed by the resident or even the person who financially supports the resident in aged care. For example, under the net medical expenses tax offset you may be able to claim a tax offset for payment of ongoing aged care fees. The dependant tax offset may also be claimed by a person supporting an aged care resident. Residential aged care is a complex area. Getting the right professional financial advice can make all the difference in ensuring your assets and income are structured effectively, managing any changes to your pension payments and ensuring you have sufficient income to support your lifestyle and care needs.